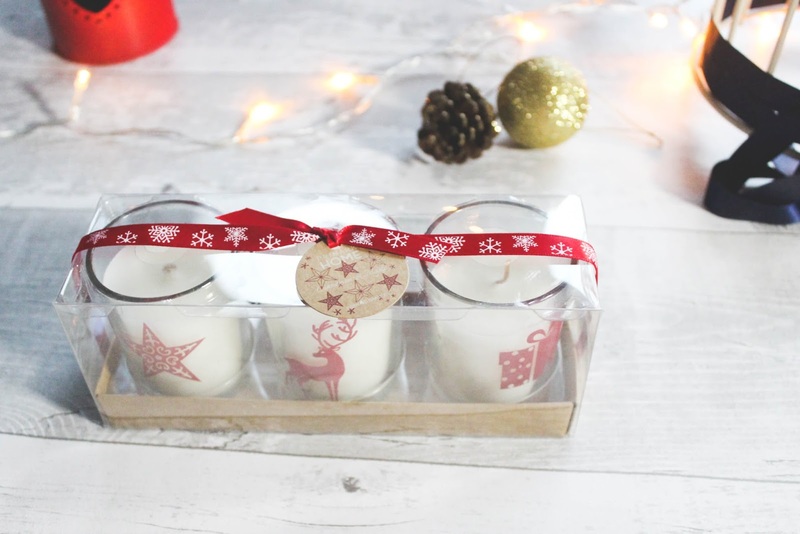 Roast Chestnut Soy Wax Candle - Price - £16 | Buy it HERE. I don't think I know anyone who doesn't like candles or their house smelling beautiful. I personally think a nice scented candle makes a gorgeous gift for friends, family and couples! 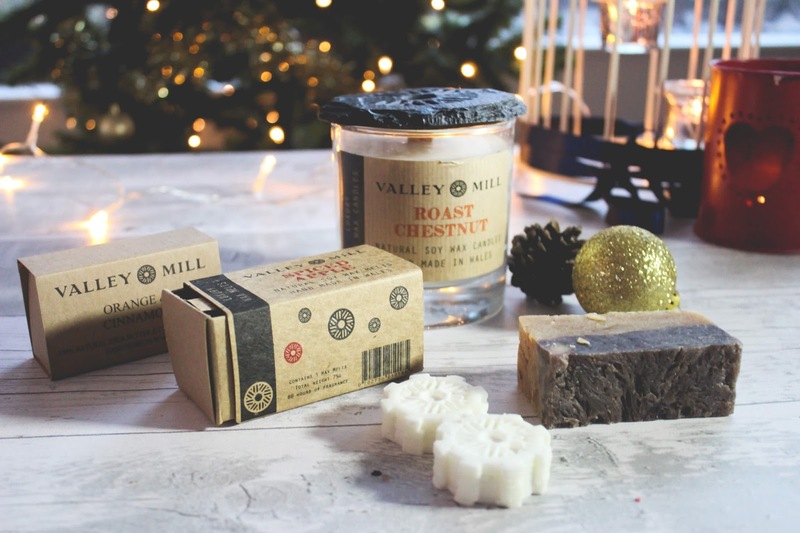 If you are looking for something that little bit more special I would highly recommend Valley Mill, they have a great selection of Candles, Wax Melts & Natural Soaps. I have picked a Roast Chestnut Soy Wax Candle* which has come in a gift box and with a hand cut Welsh Slate topper, which will make a great coaster once the candle is fully burned. The candle smells gorgeous and looks really luxurious. These really do smell just like Christmas and they're so pretty too! They will make a fantastic stocking filler. This soap smells both spicy and warm, it's a perfect winter scent and best of all it is 100% natural and kind to the skin. The soap is made with Coconut Oil, Olive oil, Castor oil and Shea butter. 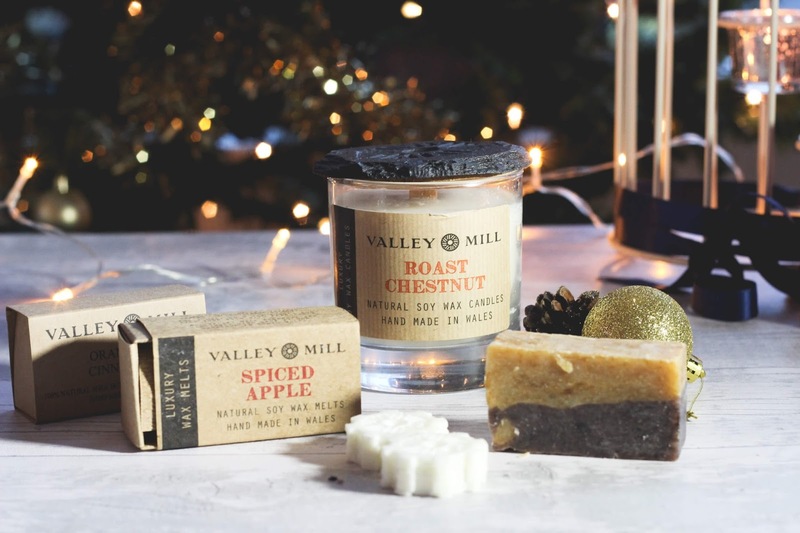 Another great little stocking filler if you're on a budget, they're not as luxurious as the Valley Mill products but they smell nice and are pretty cute. Personally, one of my very favorite things to receive as a gift is Tea. Green tea, white tea, fruit tea, herbal tea. I just love them all. 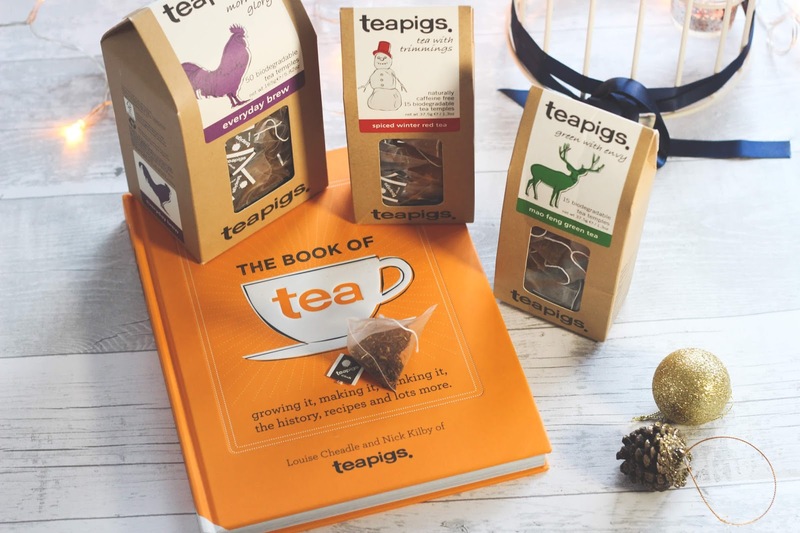 I think the love of tea can be a little infectious because over the years I have introduced many of my friends and family to tea that is a little more adventurous than the classic Yorkshire Tea. 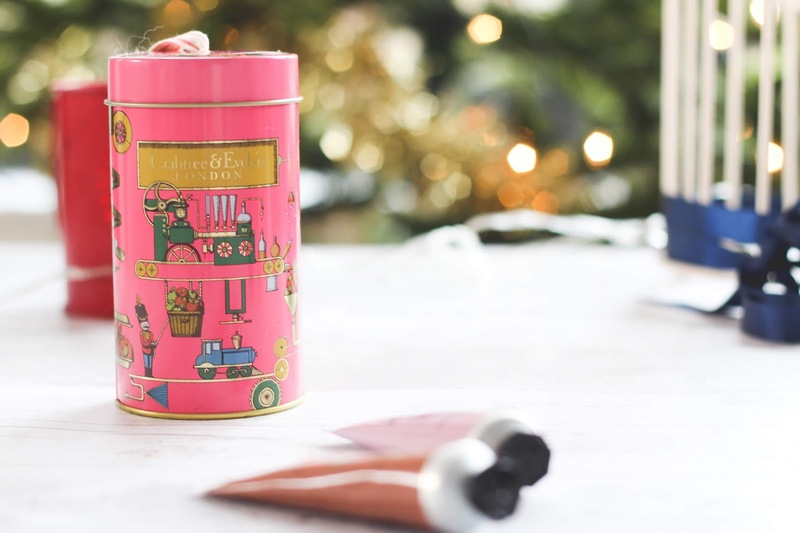 I've picked out some amazing gifts for any tea lover in your life. I can only describe this tea as a Christmas hug in a mug. The base is made from delicious redbush (roiboos) tea, which is flavoured with orange, cloves and cinnamon. I actually received this as a gift myself last Christmas and ever since then it has been my go to tea during the winter months. Green tea, is one of the healthiest drinks in the world, however, it can be an acquired taste. This tea is gentle in flavor and would suit a green tea newbie and a connoisseur. I don't drink, breakfast tea very often, but this English breakfast blend is probably the nicest I have ever tried. It's a combination of three top quality whole leaf black teas - Assam, Ceylon and a lovely Rwandan - which gives a balanced, malty, zesty alliance and the most perfect cup of tea. It is also a very safe option as most people love English Breakfast tea. This book is filled with stunning photography, fun tea fact infographics about where tea comes from and what makes the best tea, history, tea drinking culture around the world and lots of delicious recipes. This is an incredible present for any tea nut. 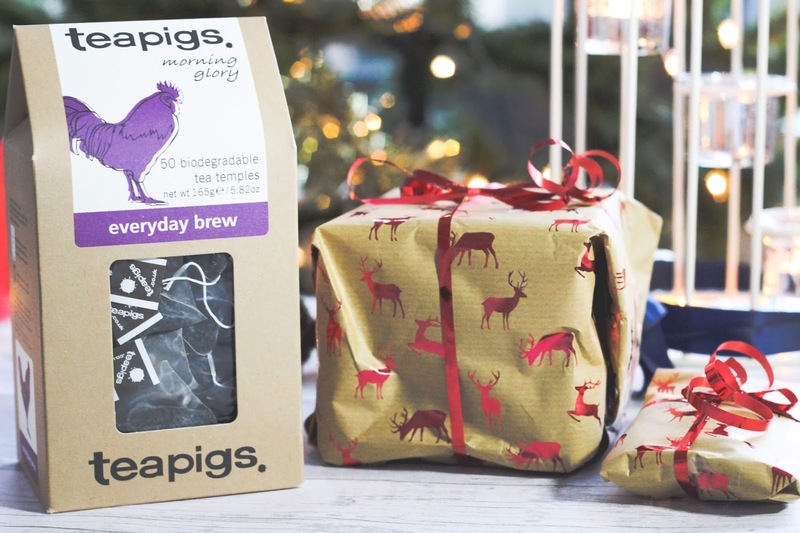 Teapigs is one of my very favourite tea companies. 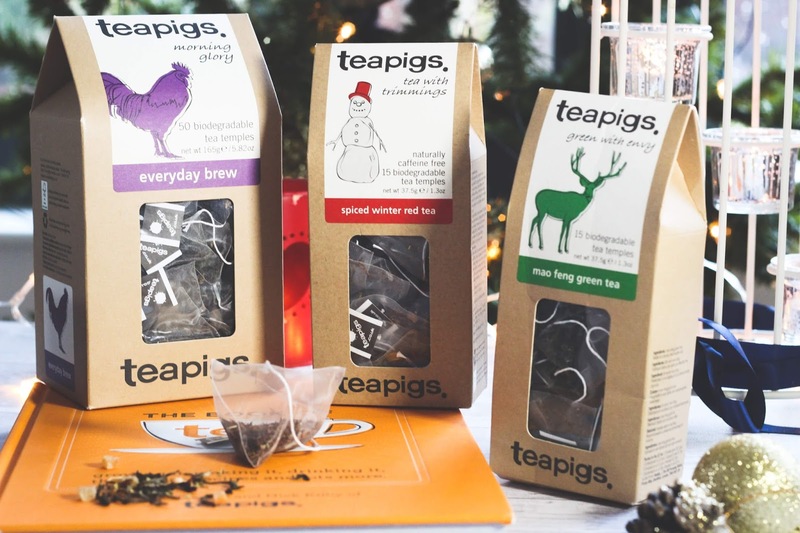 Their tea comes beautifully packaged and each tea bag is filled with whole leaf tea, which means that every cup is guaranteed to be absolutely full of flavor. This tea is absolutely gorgeous. It's a blend Chinese oolong tea, Spearmint, Nettle, Dandelion, Burdock and Milk Thistle. Spearmint helps to aid digestion and Oolong is known to boost the metabolism. This is tea is full bodied and full of flavour from Yunnan province of China which is one of the oldest tea growing regions in the world. 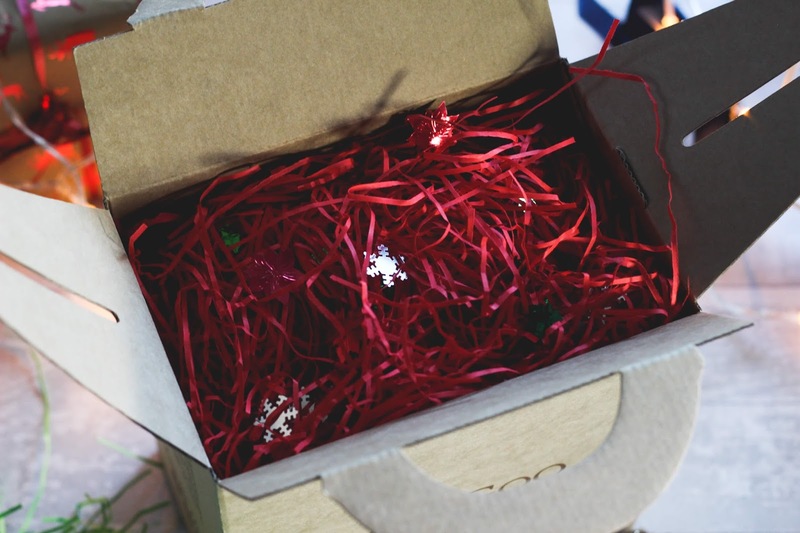 The reusable velvet gift box is absolutely stunning and really luxurious. They also send a little taster box with samples of different tea as a little extra with every order. 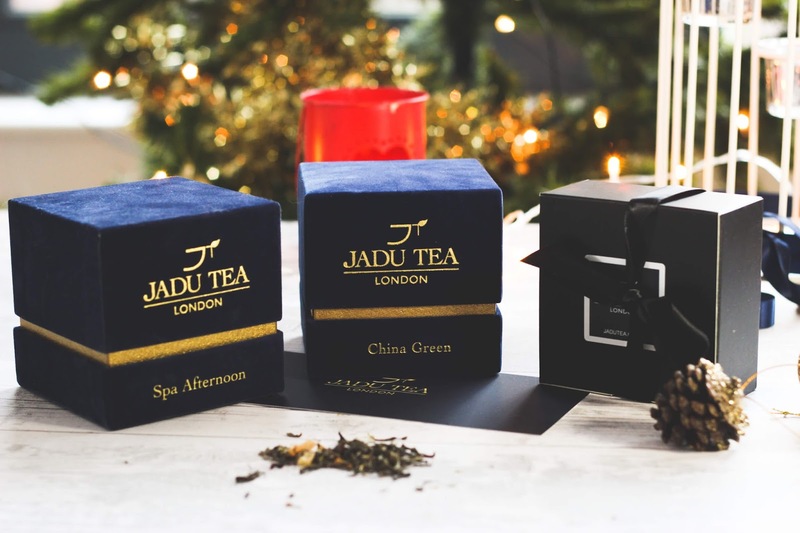 You can also check out my full review of Jadu tea. Of course every tea lover should have a gorgeous cup to drink the tea from. 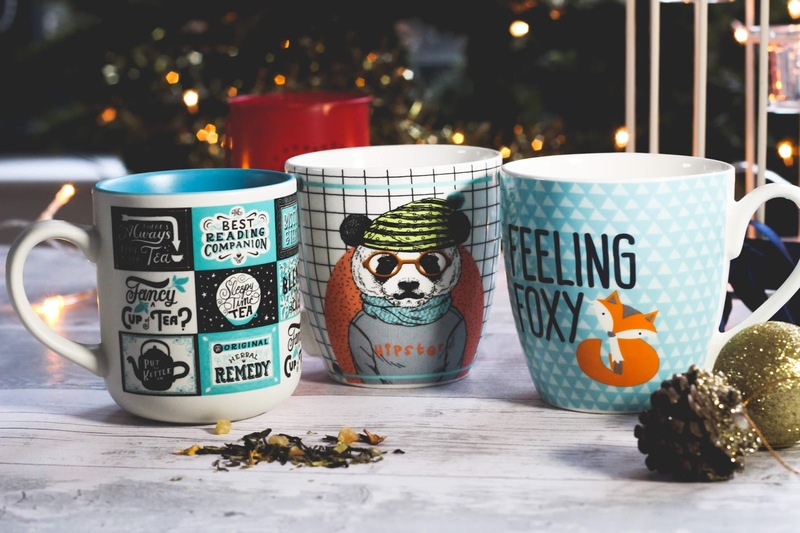 I've selected 3 cups which would make awesome little gifts! 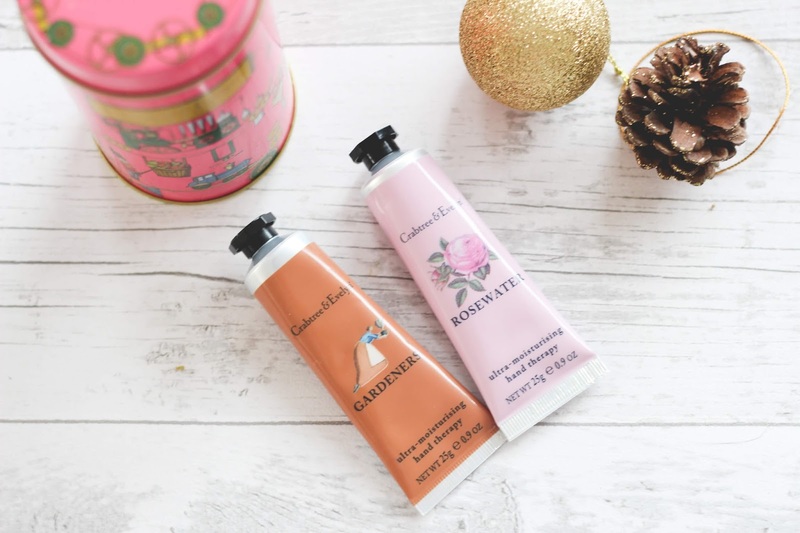 Crabtree and Evelyn hand cream is one of my ultimate faovourites. This is a perfect stocking filler for any lady in your life as hand cream is an essential beauty tool during the cold winter months. 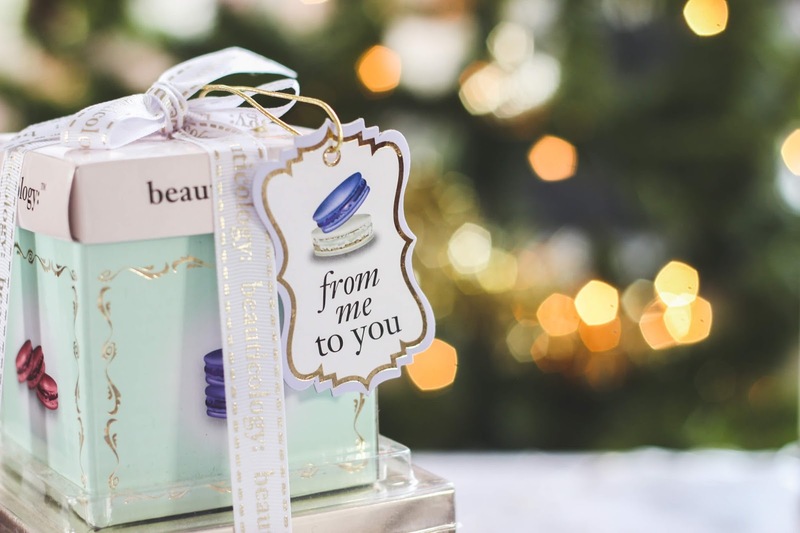 I absolutely love the packaging of this little gift set, it's so pretty! 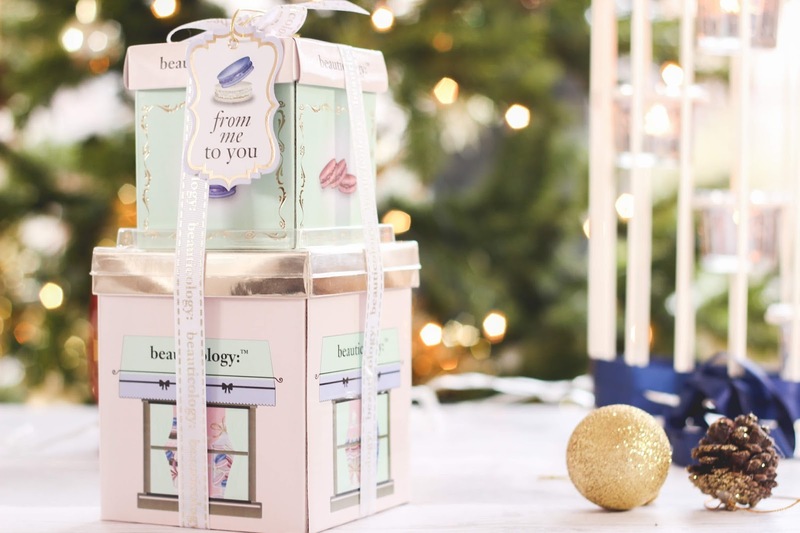 This 6-piece gift set contains 100ml strawberry Macaron body wash, 100ml blackcurrant Macaron shower crème, 50ml mandarin Macaron body scrub, 50ml raspberry cream Macaron hand & body lotion, 25g bath salt crystals and a nylon body polisher. 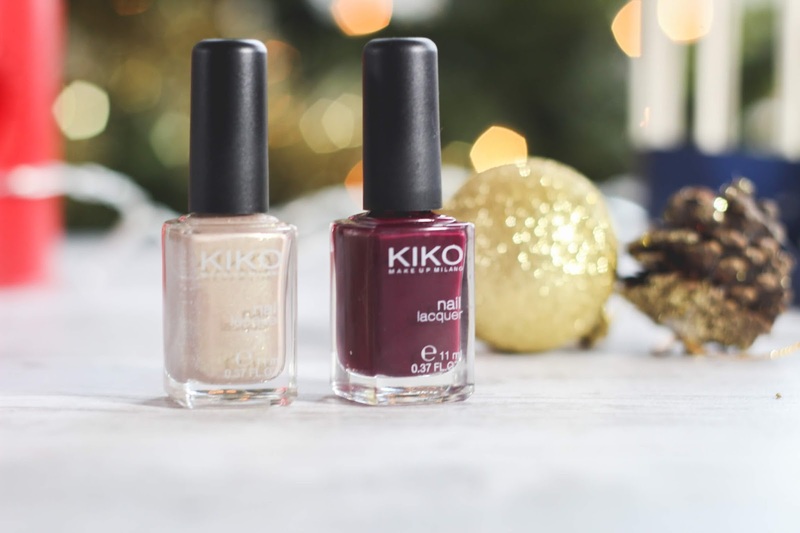 There are so many colours and finishes to choose from that Kiko is my new go to for nail varnishes. These will make lovely little stocking fillers. I strongly believe that both men and women should look after their skin so I've picked out some products with can be used by anyone. This little set contains Youth Enhancing Plump & Firm Moisturiser and Youth Enhancing Lift & Brighten Eye Cream. It's a perfect size to keep with you when at the gym, on holiday or travelling for work. 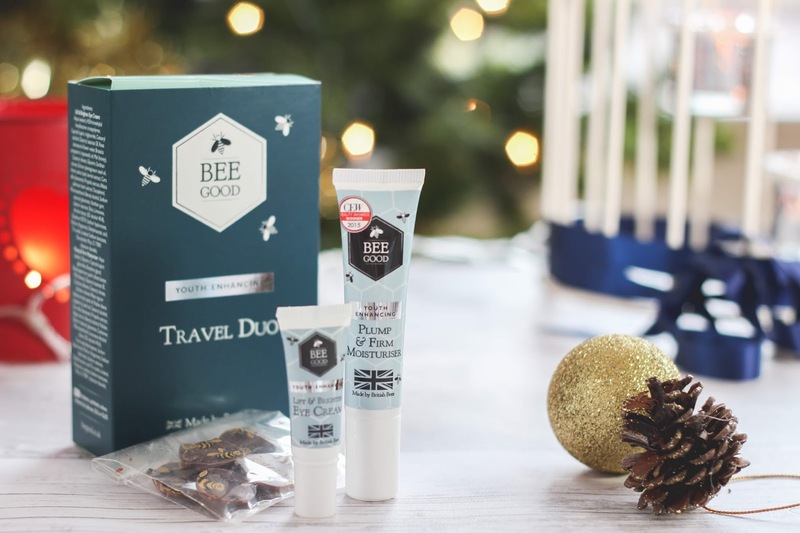 Bee Good is a British company who decided to harness the power of honey and Propolis from their own bee hives. These two products are full of natural ingredients and wonderful for the skin. 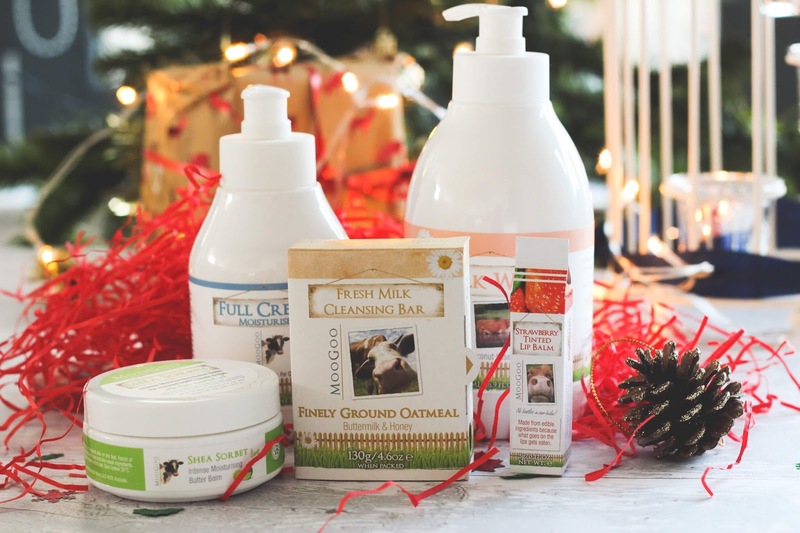 This gift sent contains: Full Cream Moisturiser 270g, Milk Wash 500ml, Shea Sorbet Butter Balm, Fresh Buttermilk Bar 130g and Cow Lick Lip balm. 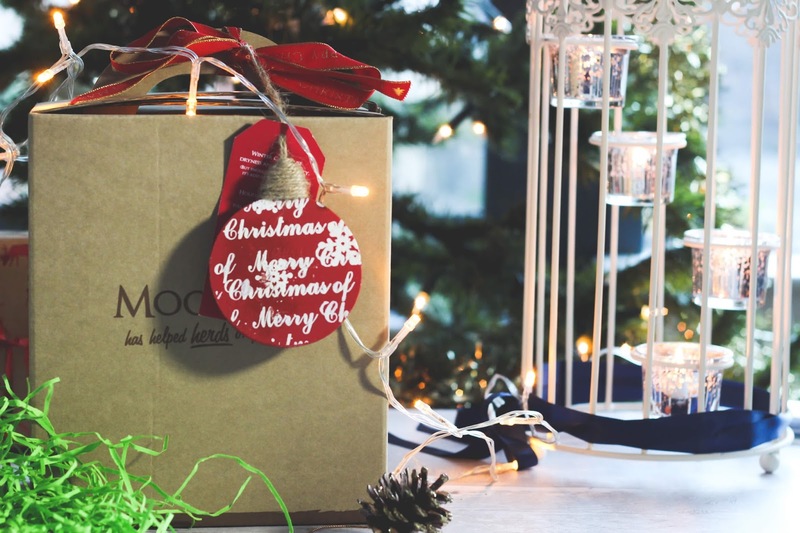 Moogoo are an environmentally friendly company who use only natural ingredients to create skin care products for sensitive and problematic skin. Their products are so natural and gentle that they are even suitable for babies! I have to say Moogoo is probably one of the best things that has happened to my skin. The Full Cream moisturiser is amazing, it leaves my skin feeling soft, supple and smelling like fudge. 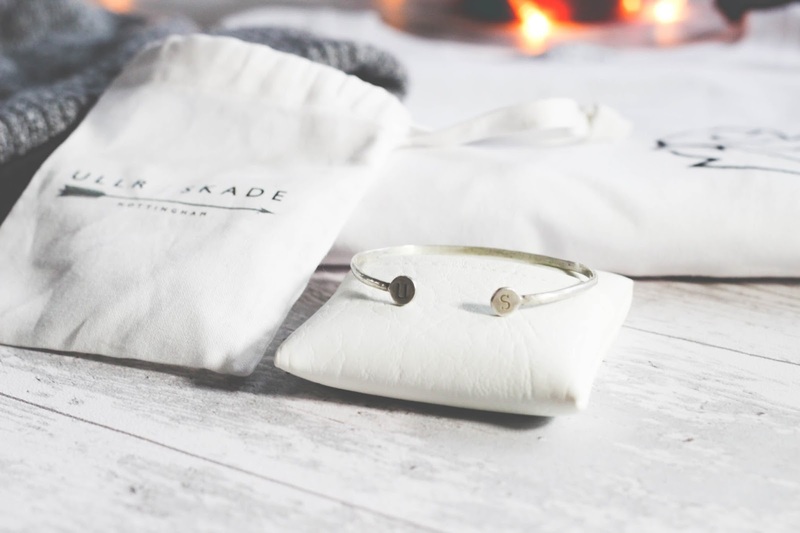 This gift bundle would be an ideal present for your mum, dad, best friend, boyfriend or Yourself! It comes beautifully gift packaged too. I think the only person who wouldn't like this particular gift hamper is someone who is either allergic to nuts or doesn't like them. I'm currently a little bit obsessed with American chocolates especially anything from Reeses as is Oli. 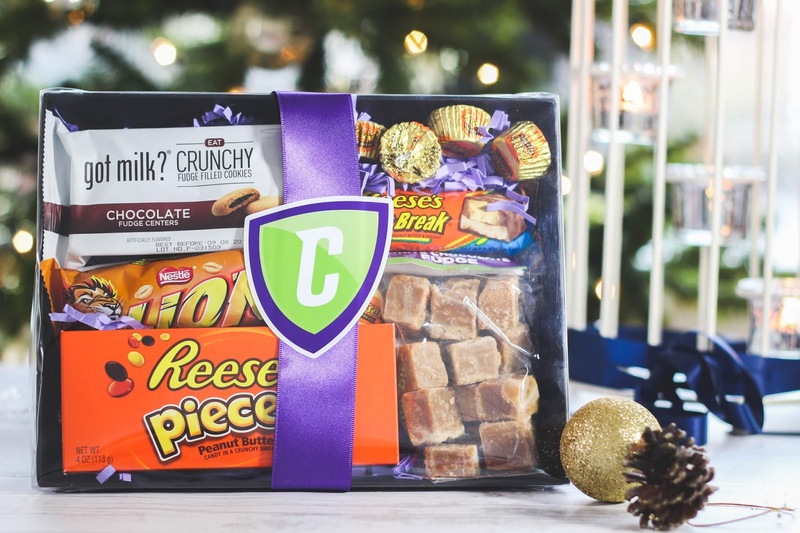 I've build this gift hamper full of nutty, chocolatey, fudgey goodness especially for him and I know that he's going to love it. If you're not into nutty chocolates, Candy Hereo has so many different sweet treats to choose from that I'm sure you'll find something you'll love. The prices are very reasonable too, especially comparing to other sweet shops. This year I found some really gorgeous and warm socks from Primark out of all places. They seem to have a really large range of male socks in stores at the minute. 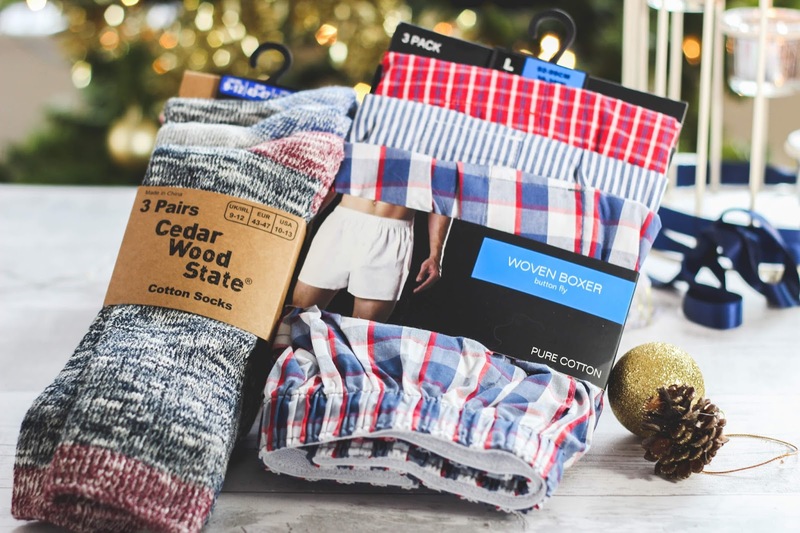 The woven boxers are from there too. They feel really luxurious and I really love the patterns! This t-shirt has a very simple and classy design. The material is 100% combed cotton which makes it very soft to touch. I absolutely love this cuff bracelet. Once again the design is beautifully simple which is what makes it so gorgeous. It comes in a beautiful little gift pouch and I think this would make a lovely present for your boyfriend, brother or best friend. You really can't beat a good hat during the winter months. 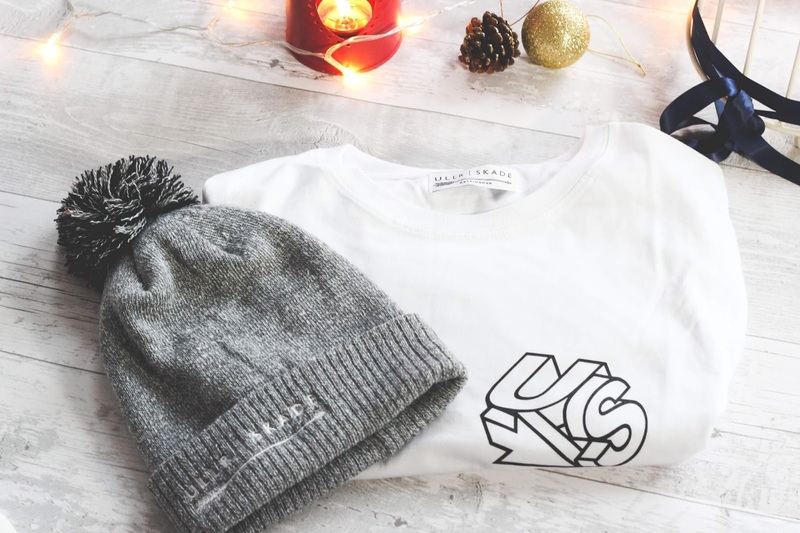 This bobble hat from Ullr & Skade is nice and thick and of really high quality. It also stands out from the other hats you can find on the high street. 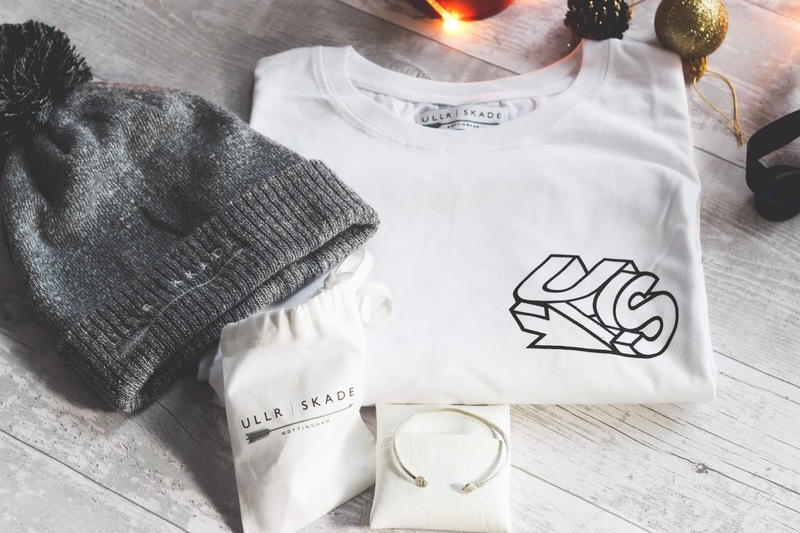 By shopping at Ullr & Skade you'll not only be buying the men in your life something a little more unique and special, but you'll also be supporting an independent business. I am so so in love with this necklace. 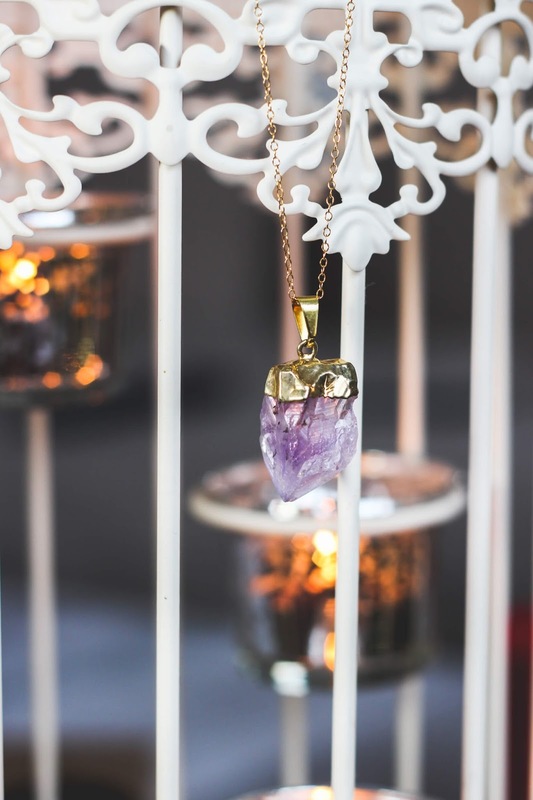 Amethyst is one of my very favourite crystals and this is a necklace of dreams. A lot of bohemian jewellery comes in silver, but the 18inch gold chain makes it look very delicate and elegant. There's lots of amazing jewellery pieces to choose from in both gold and silver on the Lief website. 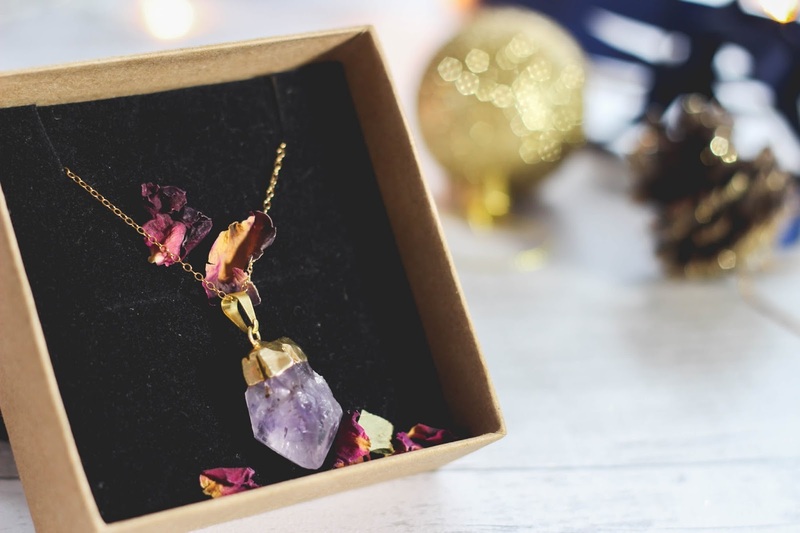 Each jewellery piece comes in a presentation box finished with a sprinkle of dried flower petals. The flower petals really compliment the crystals beautifully. Lief would receive 10/10 from me for the gift box presentation. 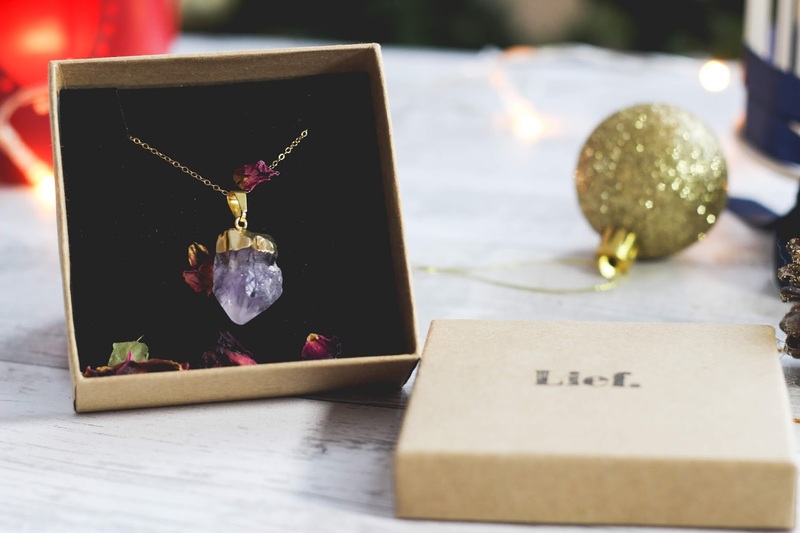 All the jewellery made and supplied by Lief is created using high quality materials that are all ethically sourced. These little slippers make you feel like you are walking on clouds, they are that soft. I would love to receive a pair of these myself! What do you think of my gift ideas? Please let me know in the comments! Oh wow, what a fantastic gift guide - the only problem is I now have so many tabs open with so many gift ideas (mostly for other people but admittedly a few for me too!). 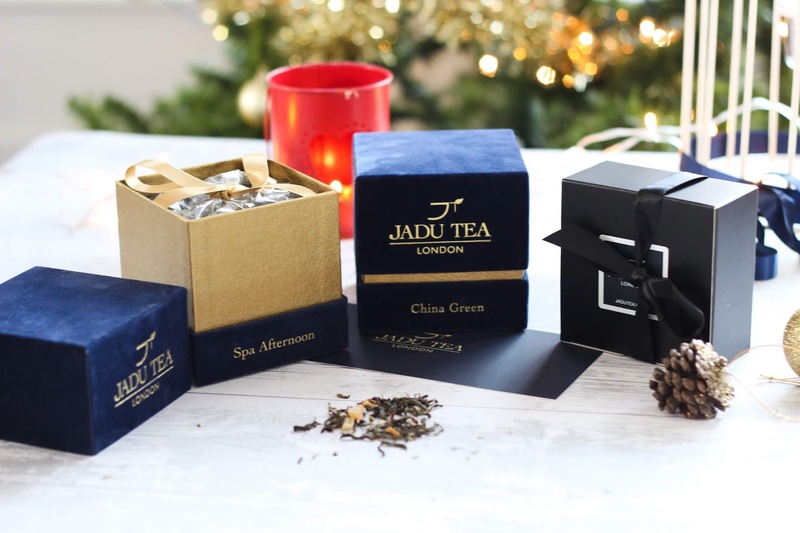 I agree that tea is such a fantastic gift - my boyfriend is really into tea and coffee so I usually treat him to a few different types of each, so definitely going to look into the Chinese luxury tea, if only for the beautiful packaging! I've also got the MooGoo skin care website open - if it's natural ingredients and can help me with my problematic skin then I'm interested! I've read to many gift guides this year with an attempt to get some inspiration and I can honestly say that this one was so so good Dei! You've given me such a good idea with the socks - thank you! 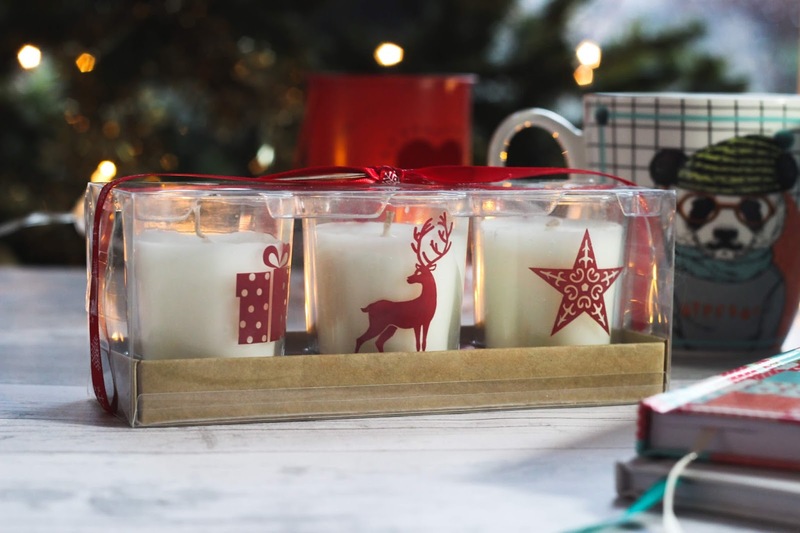 There are so many gorgeous things here and candles are definitely always a brill Christmas present idea. Lovely pics too!